Thank you to The Frye Company for partnering on this post! Affiliate links are used throughout this blog, which means I might make a small commission if you click on a link. Thank you for supporting Story of My Dress! Products sent for consideration & items gifted are marked c/o. All thoughts are my own! 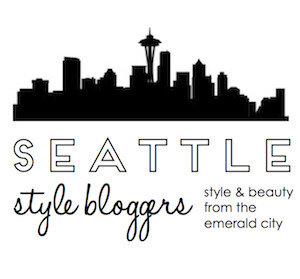 Seattle! You're invited to a Celebration of Craftsmanship with The Frye Company at the new Frye Company store in University Village this Thursday! 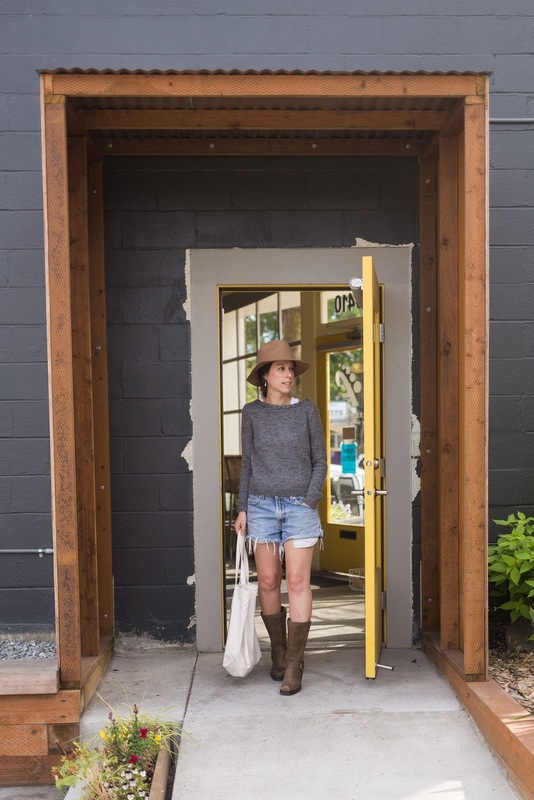 Meet the makers, enjoy live music and celebrate the amazing craftsmanship of our City and Frye Boots on September 14 at The Frye Company Seattle! Frye Company boots have long found a place in my closet; a vintage pair of 1970s Frye cowboy boots were my first official ebay purchase and a beloved pair of Frye platform sandals have danced at multiple summer weddings leaving not a single blister. Both pairs are still in my closet and only continue to get better with age. The Harness 12R Boots c/o The Frye Company are my most recent Frye addition to my closet and I just adore! 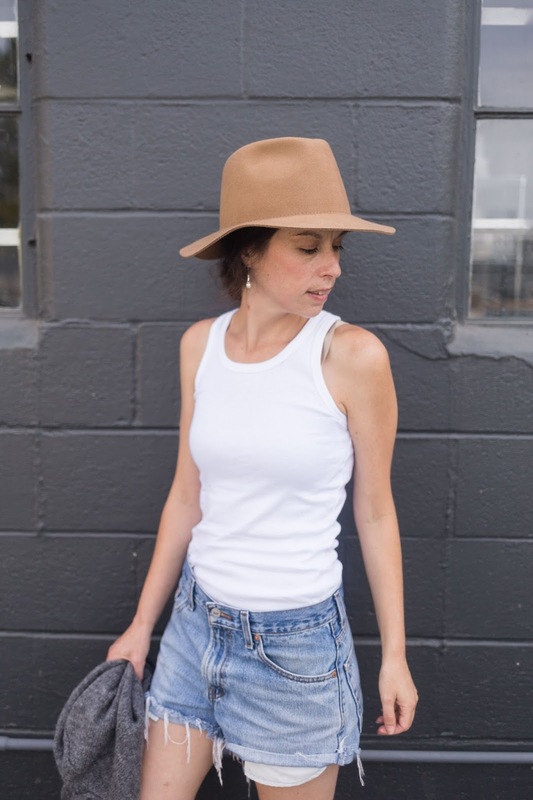 For a recent run to the local coffee shop I styled my new boots with my favorite pair of DIY vintage Levi's denim shorts, a Petit Bateau classic tank, Madewell et SÉZANE sweater for the slight end-of summer breeze in the air and the Morley Hat c/o Moorea Seal to hide that messy morning hair. 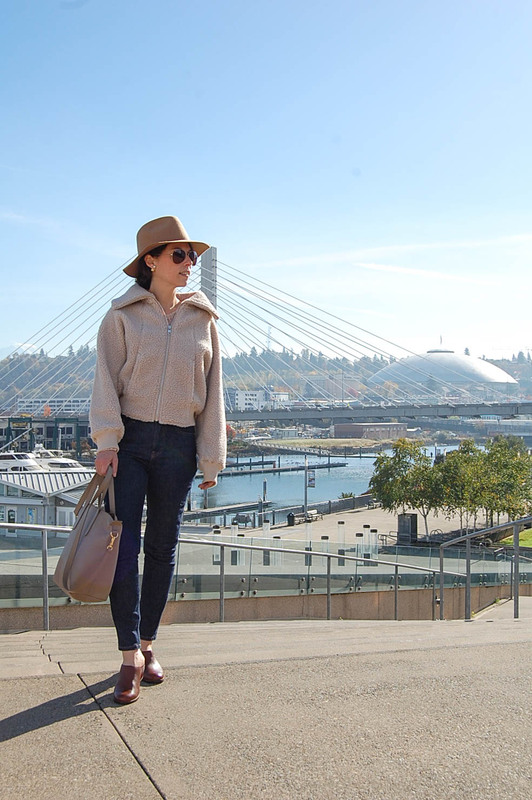 My new Frye Harness Boots (c/o) are also perfect for fall and styling with skinny denim and oversized sweaters as the weather changes. Made in the USA, nothing says American Crafstmanship better than the Frye Harness Boot. Inspired by the Civil War cavalry, this iconic boot is uncompromising and truly only gets better with age. Hello fabulous new addition to my closet! 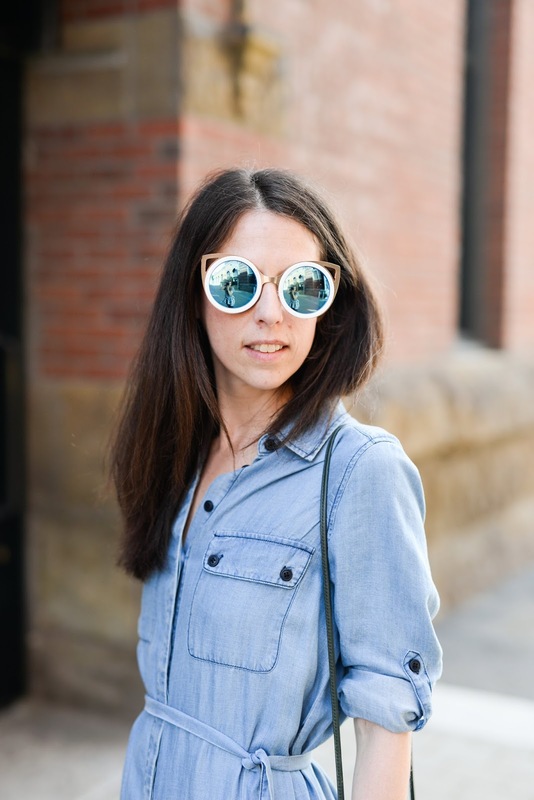 Frye boots and leather goods are well made and meant to last years. Since 1863, this distinctly all-American boot company has been making boots and nurturing artisans. History and heritage go into every single stitch of boots, shoes and bags that soon become heirlooms and passed down treasures. These iconic leather goods consist of only the best in materials, craftsmanship and design ensuring timeless style and unparalleled quality. 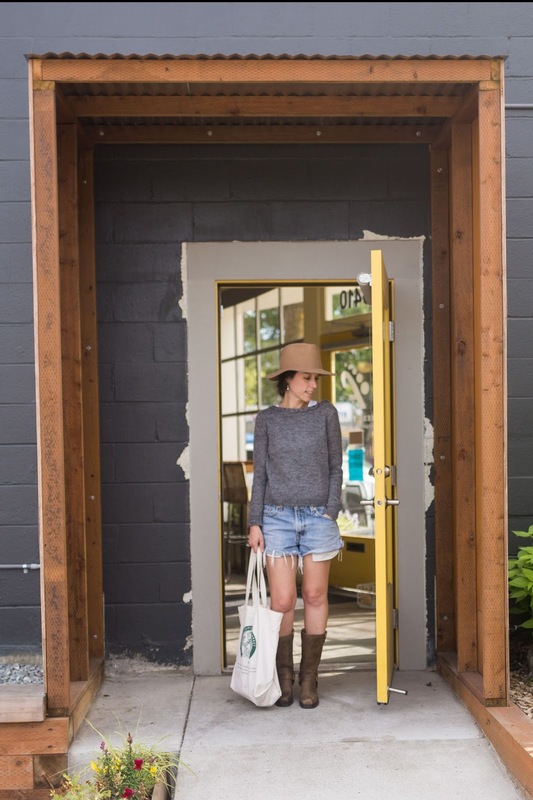 Everyone has a Frye Story ~ from the campus boot in college to the vintage cowboy boot found at a thrift store. What's yours?! 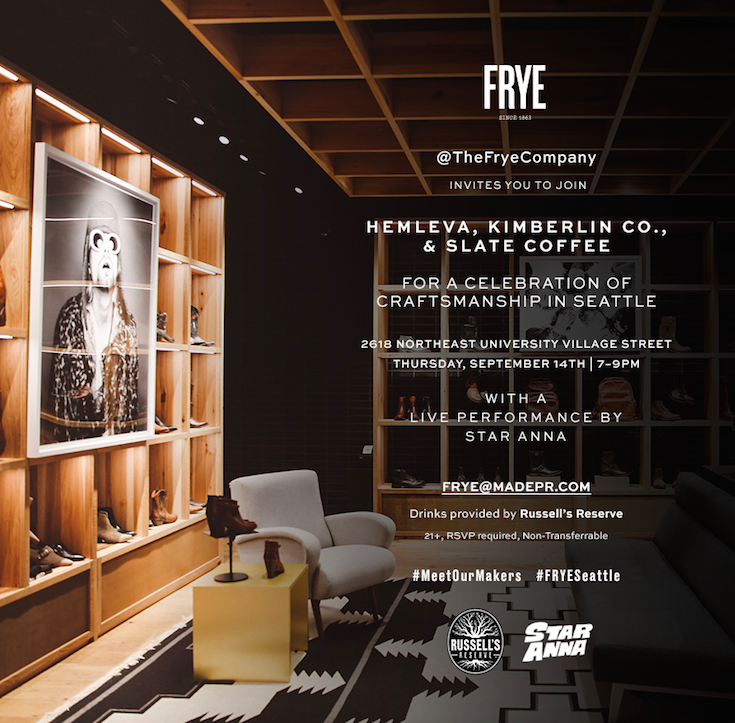 Scroll down for all the details and to RSVP for the FRYE Celebration of Seattle Craftsmanship Event on Thursday September 14, 2017! Hope to see you there! How beautiful and classy you look in that craftsman dressing. This outfit is really according to the latest fashion.Can't wait to dress up like this.